Merle Haggard came pretty close to living out his life in prison stripes. Country music pioneer Merle Haggard (April 6, 1937 – April 6, 2016) and his band the Strangers helped create the Bakersfield sound, which touted a rougher edge not heard on the more refined Nashville recordings of the same time period. After the death of his father, Haggard’s childhood and early adulthood were troubled and often punctuated by incarceration. After realizing the errors of his ways while sitting in prison, he launched a successful country music career which spanned decades and made him a legend. Learn more about this fascinating figure below! 1) After their barn burned down in 1934, Haggard’s parents, Flossie and James, relocated from Checotah, Oklahoma to California. 2) Merle was born in a train boxcar that was converted into a family home where the Haggards lived in California. 3) After getting in trouble with the law, 14-year-old Haggard ran away to Texas and rode freight trains and hitchhiked throughout the state. 4) Merle’s encounters with death row inmates “Rabbit” and Caryl Chessman inspired him to turn his life around. 5) While in prison after a robbery attempt, Haggard got word that his first wife was expecting a child fathered by another man. 6) In 1972, then-California governor Ronald Reagan granted Haggard a full and unconditional pardon for his past crimes. 7) When songwriters sent Haggard the tune “I’m a Lonesome Fugitive,” which became his first #1 single, they were unaware of his extensive prison record. 9) Haggard’s classic “Mama Tried” is featured in the 2003 film “Radio.” “Swingin’ Doors” can be heard in the 2004 film Crash and “Big City” is heard in Joel and Ethan Coen’s cult classic Fargo. 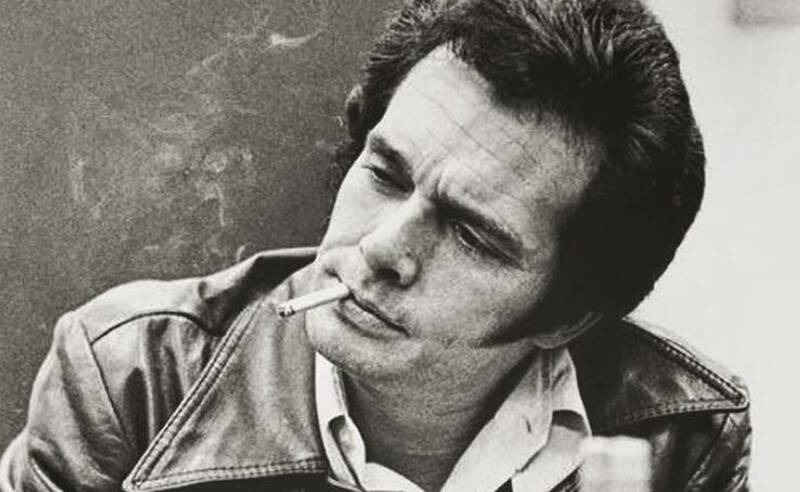 Share these factoids with other Merle Haggard fans!